Gather inspiration for your big day at the spectacular country house, Dewsall Court. Countryside weddings have become a popular choice for couples looking for something a little less traditional, and with an injection of style! 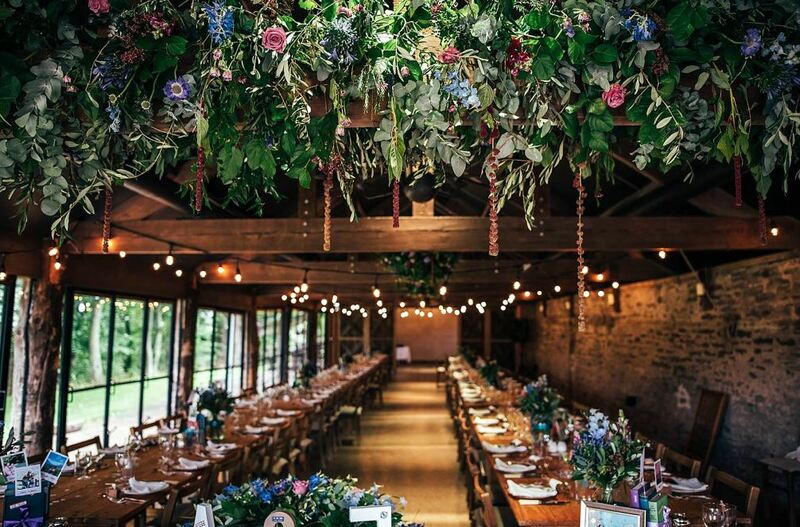 So when it comes to an idyllic country chic wedding, Dewsall Court is the perfect spot. An exquisite country house in the remote Herefordshire countryside, Dewsall Court offers the ideal space for both intimate family gatherings and grand celebrations for up to 140 guests. Civil ceremonies can be held inside or outside in a choice of stunning spaces, all offering the perfect opportunity for those Instagram-worthy wedding snaps! For manor house chic, the house offers style, elegance and adequate room for your guests to make themselves at home. Available on an Exclusive Use basis, this listed country house will be all yours, with full use of the 12 acre estate, plus a two night stay for up to 20 guests, a delicious wedding supper, plus breakfast and lunch the next day. Or for a more rustic feel, the recently renovated Wainhouse barn offers 180° views from retractable glass doors, a stunning bar, purpose designed dancefloor and stunning features. Their team of cleverly creative and exceptionally organised wedding planners will work with you to put your own personality into your wedding theme, holding your hand through the process up until the moment you walk down the aisle. If Dewsall sounds like the wedding venue you’ve been dreaming of, they’ll be holding a Bridal Open Day on 4th February. Entry is free of charge and doors are open from 10am until 5pm. If you’d like to book a personal tour of the house and barn, contact info@dewsall.com to make your appointment before the day.